Last Saturday, August 19, 2017, I visited a project I had heard about since I arrived in Senegal. Finally I was able to coordinate with Mansour Ndiaye, the director of APAF Senegal (Association for the Promotion of Agroforestry and Forestry) to interview him and visit a plot in Mbour. Mansour is a retired agriculturist who, instead of relaxing after a long working life as a government agent in conventional agriculture, works tirelessly to spread a very interesting technique which, according to him, is the solution to all environmental problems: the planting of fertilitarian trees ‘(which fix nitrogen in the soil and fertilize the soil) in combination with horticulture. The APAF started in Togo in 1992, then joined Burkina Faso in 1998. 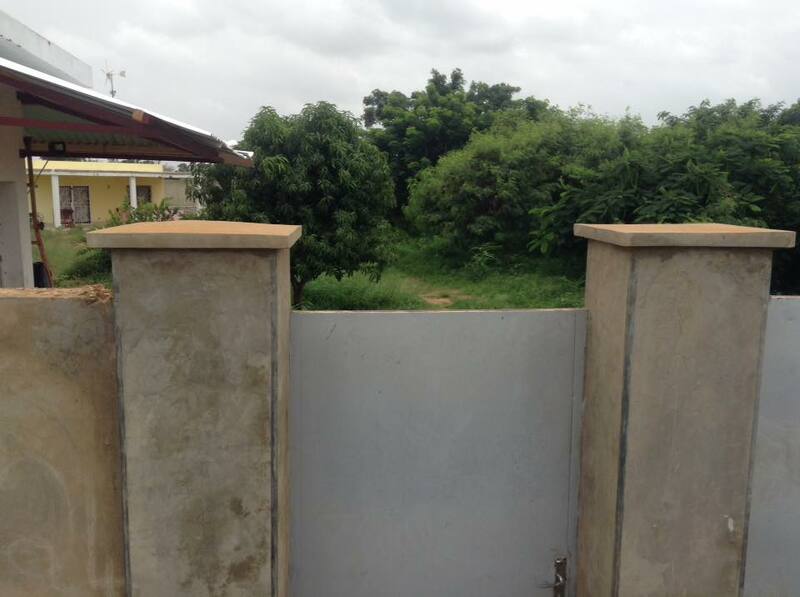 In 2013, the organization began working in Senegal in the communes of Malicounda (Thiès region), then in the Kédougou, Tambacouda and Fatick regions. Finally, in 2015, the Ivory Coast, Mali and Cameroon started their own offices. 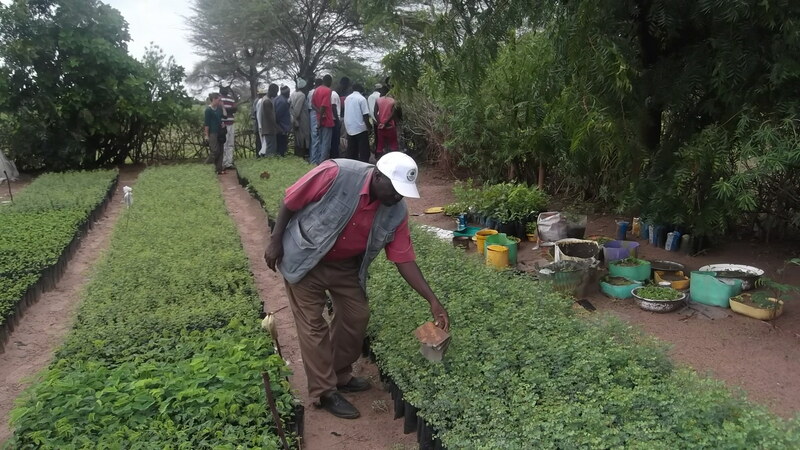 His project is to work with people interested in planting trees in the private lands of producers. The village’s agroforestry committee chooses one or more greenhouse managers. 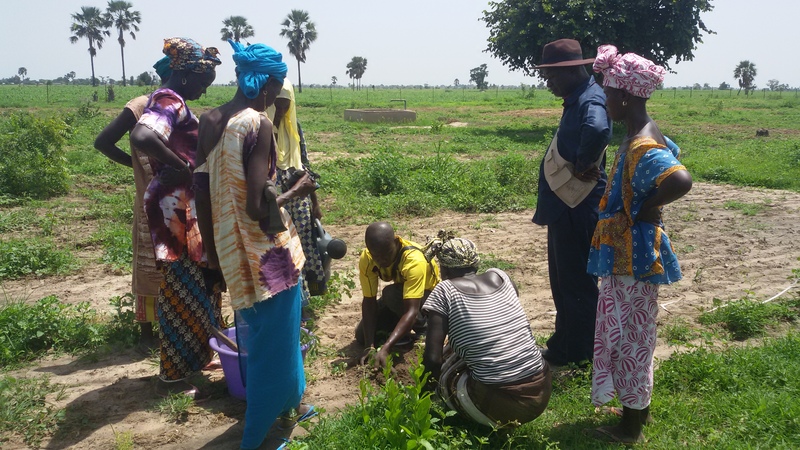 This year, they work with 28 villages, with a goal of planting 150,000 in total. With an average of 20 producers per locality, they are given all the materials and given the necessary training for the success of the activity. At the moment, they have a five year program. 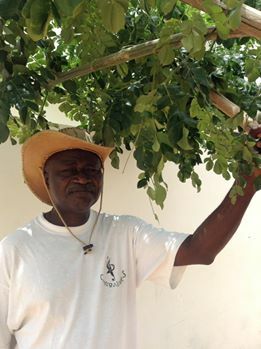 They planted and also formed the managers on pruning techniques, grafts and general care. The first two years they plant about ten thousand trees and then the managers give the necessary follow-up. At the moment, the APAF Senegal has six employees: the coordinator, an accountant and four technicians who visit the projects and follow up on motorbikes from village to village. The agronomist explained that the selection of species is based on several factors, the most important being the rapidity of growth and the ability to fix nitrogen in the soil to reduce the use of chemical fertilizers and improve soil quality. Based on the vegetation censuses of the country of the 50s, they chose many that were present at that time, but with the problems of deforestation they are no longer in the country and they may be sent from other African countries. They also cultivate some species from other continents, if the characteristics justify it. An important and always consulted work to define the indigenous vegetation is the « Flora of Senegal » of Jean Berhaut published in 1954. In choosing the species there are other issues to consider, such as the possibility of using the leaves as food for livestock, and wood as fuel, this with the aim of reducing logging in forested areas. Priority is also given to rapid growth, which in two or three years already makes a difference in the improvement of soils. 5. Morinda lucida from Tropical Africa: from Senegal to Cameroon, Sudan and Uganda, Angola, Zambia and Tanzania. Senegal has many acacias (such as A. seyal, A. Senegal, A. nilotica, etc.) in the Fabacea family, whose characteristic is precisely to fix nitrogen, but are considered less effective than some exotic ones like Leucena for example. There are others that play the role of fertilizing but are slower in growing, such as Kadd (Acacia albida synonymous with Faidherbia albida). The term » fertilitarian » was first used by the Belgian Huges Dupniez in his book « Tropical Agriculture and Family Farms in Africa », 2007, which shows all the advantages of including these trees in horticultural crops or cereals. Contrary to what one might think, the shade produced by the trees does not affect the growth of plants; on the contrary, in a country with such a high insolation level, the shade is welcome and the economy in irrigation is one-half of the water used. 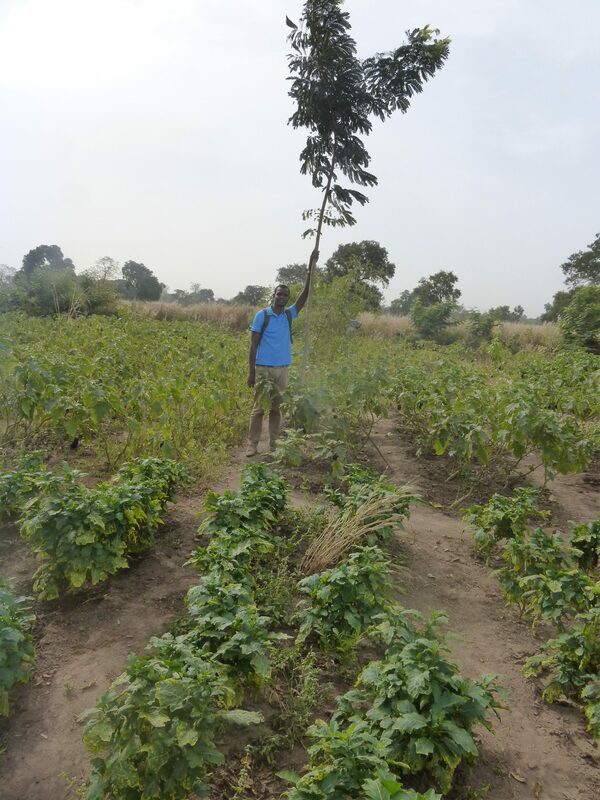 On the other hand, in the month of May, before the rainy season, which begins in July, it is recommended to prune them, to allow the growth of the peanuts and grains that are planted in this period (millet, sorghum). In the period of drought, which begins in October, the leaves will be growing and this does not affect horticultural crops. This process is repeated since the trees are two and a half years or three years old. Mr. Ndiaye also tells me about the changes he has seen over the years. There is less and less rain and trees, a vicious circle that does not end. In the 1960s, logging permits were issued, which, along with illegal logging, and the overuse of chemicals in agriculture, have made land increasingly poor, mineralized soils, forests growing farther and the desert getting closer. The foreseeable consequences … a rural exodus, the young leave the field of their families to look for a life of survival in the big cities. The Government’s Water and Forests Department conducts planting campaigns on public lands, up to 40,000 hectares per year, but then they do not always follow up. Many trees die and many are cut illegally, as they are considered not to be on private grounds. For that reason, APAF only plants in private lands, making the owners responsible for the success of the plantation. The presence of fertilitarian trees offers hope in the improvement of soils and in agriculture. The aim is to reduce the level of unemployment and in the long term, increase the retention of humidity, rainfall and even groundwater level, reducing erosion and even global warming. 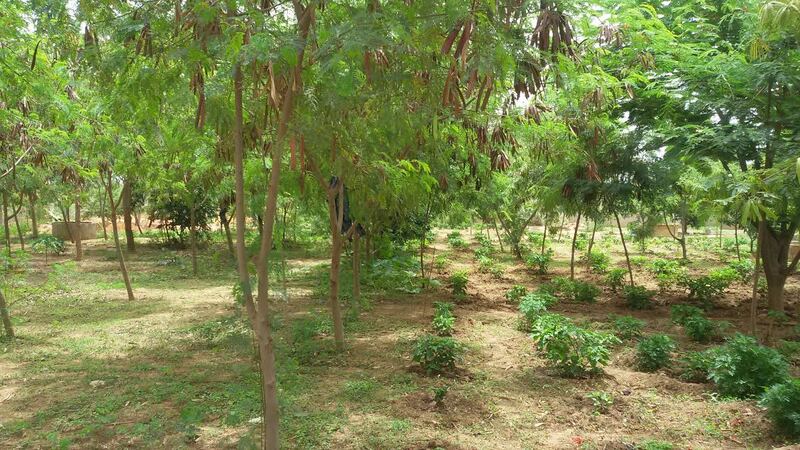 Some native shrubs such as Ngui nguiss (Piliostigma reticulatum, a shrub present in the Sahel area of Senegal and from Mauritania to Sudan) and Nger (Guiera senegalensis) have the ability to elevate groundwater levels by increasing the general soil moisture, which benefits cultures. Some farmers have experimented with assisted natural regeneration, isolating a plot of land and letting nature take its course. The results are very encouraging, forming forest in a few years. The APAF welcomes students from several countries who come to learn the particular techniques of agroforestry. At the same time, they have long-term research projects in collaboration with universities on the variation of the presence of minerals in the soil, the impact on crop resistance to parasitic plants and predators and the conservation of grains using ancestral techniques. Mansour ends the interview by telling me that he has been working all his professional life in conventional agriculture, he saw the ravages that have been made in the environment and now he is totally converted to agroforestry. According to him, it is his second religion, in which he strongly believes. It concludes with the fact that sustainable agriculture cannot be developed without trees. Its cultivation is the solution to all the current problems of agriculture and environmental degradation. 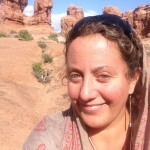 It may seem a bit extreme, but if we analyze step by step, we can realize that it is real, since everything in the natural world is connected, and few things connect the soil, air, earth and sun more than trees.